Square in front of Vienna Rathaus is one of the liveliest places in the city. This is my last article about Vienna in which I spent several days last summer. I would like to thank my dear friend Eleonora for being such a great host as always. It is a joy for me to return to this magnificent city and in this article I will talk about some of the places that you have to visit if you are spending some time in Vienna. Although in the early twentieth century Vienna was a world center of culture, philosophy and science, in the second half of the century for a moment Vienna lost a step with New York, London and even Moscow. But today we are again witnessing unusual cultural, urban and lifestyle phenomenon that puts this city back on the global top list of places where people live their lives fullest and thereby safest! Vienna rejuvenates, and it’s not a makeover, but deep, substantial process and quickly expanding, this fascinating city offer in perfectly preserved Art Nouveau neighborhoods, built skyscrapers almost banned in the city center, which gives it a special touch. A fusion of old and new, tradition and future, identity and experiment, breakthrough and context. A special phenomenon is that it is happening at a time when Vienna has fewer inhabitants than it was in the early 20th century, so we can conclude that this is a quality that is not a slave to quantity. 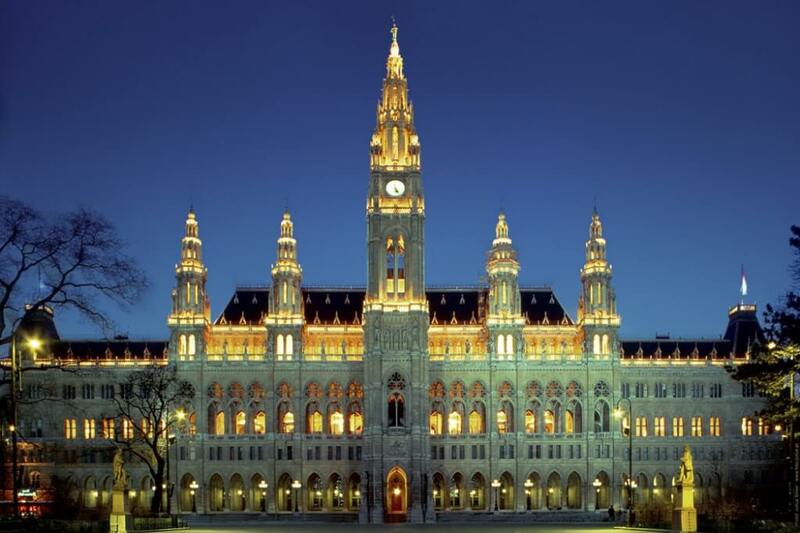 If you believe the polls, Vienna regularly ranks among the five most interesting cities in the world. This, of course, refers primarily to its permanent residents, but as a guest you can detect the charm of an fifteen hundred years old town. Let’s suppose that you woke up in a hotel in the center of Vienna. If you are prone to tradition, then you are probably staying at Grand or Imperial, opposite each other on one side and Anna Sacher on the other side of the Opera. Do you appreciate modern-day architectural trends, in this case, you will choose Do&Co. or some similar hotel. In any case, you’re stretched, and you’re ready to enjoy ​​in Vienna and decide to have a breakfast. No matter where you sleep, Sacher is an obvious choice for breakfast with coffee and cookies. Although currently trendiest place for breakfast and brunch is definitely French restaurant Le Bol. This restaurant is the best experience of what is now Vienna in the morning. The main attraction of this small restaurant, on the half-way point between Albertine and St. Stephen’s Cathedral is a big table for 10 people at which you can sit as long as there is free chairs. Besides Le Bol is not expensive. If you are by any chance in Vienna over the weekend, sumptuous restaurant Palmenhaus in Burggarten is ‘the place’ for a terrific breakfast. Greenhouse equally attracts young couples with children and elder people. In its superbly organized bar you can have a great breakfast with eggs, butter, cheese and ham for less than 7 euros. Another affordable place with a good breakfast is Oberlaa. Actually a chain of cafes, with excellent breakfast. Priced at 14 euros at eat all you can principle, it offers three story platter of scrambled eggs with truffles, several kinds of ham and cheese, dairy spreads and jams, fruit with yogurt and juices. So order one for two and ignore that Oberlaa does not belong to the Vienna attractions. Do you want to eat at places from a postcard? Then you have to visit Zum Schwanen Kameel who has a great offer with some 160 types of fresh sandwiches with literally everything you can think of, from cheese and ham to beluga caviar. Then you can jump to coffee and pastries. Since the Turks after the second unsuccessful siege of Vienna in 1863 estimated that their countless bags of coffee could interfere with their dignified retreat eastwards, coffeehouses have become a symbol of Vienna. Austrian capital was once a magnet for prominent professors, writers, composers, revolutionaries, philosophers and ordinary bohemians. The only thing it was missing until 1891 was coffee houses in which this colorful bunch could hang out with like-minded people. That year, Julius Meinl opened the first coffee roaster. In summary, although it is not on our mind to recommend you on how to convert to the tourists, we certainly recommend Cafe Hawelka near the cathedral. Maitre’d for 70 years had been Leopold Hawelka and cafe is now practically a temple in which, it is true, you can drink excellent coffee with homemade donuts. Barely younger is Cafe Central in Herrengasse. How many of you know places that were visited by Leon Trotsky and Tony Blair? This is the only one. Unfortunately, tourists heard for that also and it is a great chance that you will see the familiar group from Oklahoma instead of real natives. The natives think it is to blame for that image present owner, investor, cold, a clone of Donald Trump, but the huge arches and huge windows of the old coffeehouse still look impressive. Extremely popular spot for drinking non-alcoholic drinks is Haas and Haas, a paradise for lovers of tea at the Stephansplatz. Although technically it is not coffee shop, the place is very popular among young people, and the only thing that will spoil the atmosphere is the sea of ​​tourists, as well as in Café Leopold. Knize bespoke tailor’s shop at Graben. Besides breakfast in Vienna you can also have great lunch and dinner. Several restaurants are world-famous. From the best one, Steirereck through superior fusion experience lndochine to very acceptable project from the former Steirereck chef, trendy restaurant Österreicher im MAK. But more about the best restaurants in Vienna you can read in our separate post. For a light lunch snack we recommend Meierei cheese bar, located below Steirereck. Besides arranged in dairy tones, it offers an impressive selection of cheeses of all kinds. Do not worry if you don’t know by heart all the varieties of cheeses, any that you taste at 4 euros upwards for 100 g, arrives with tag with details on the cheese. Vienna is a paradise for materialists! The shopping begins in Kaerntner Strasse where you will find all known and expected brands. 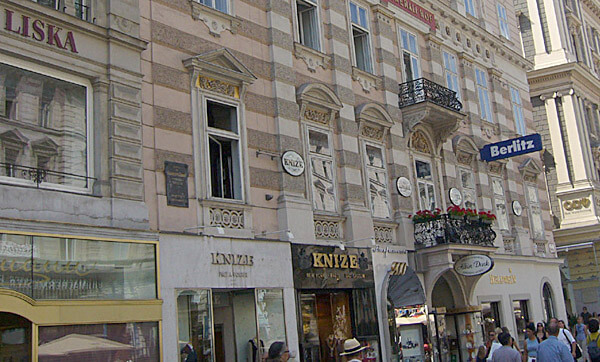 True aficionados of classic men’s clothes will certainly want to visit Knize, house with tradition, dating from 1858, in men’s clothing and certainly one of the best bespoke services in Vienna. Best places for food shopping are Julius Meinl and Naschmarkt. 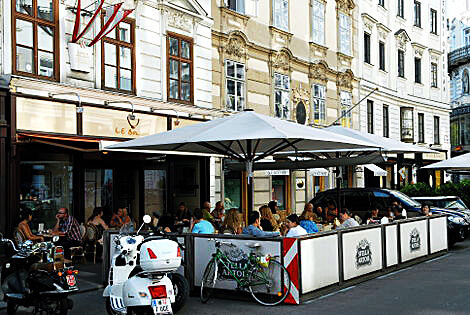 About Julius Meinl you can read in our post about Vienna restaurants. Naschmarkt is a small market in the center, especially alive on weekends after you finish buying shells, vegetable or fish, you can sip a glass of champagne with oysters. Among the peculiar phenomena of Naschmarkt certainly are stands with river crabs and eels or specialty stores with dozens of types of vinegar, salt and spices which are impressive and worth visiting! Those looking for a superb selection of cigars everything their heart desires will find in a relatively small Mohilla shop with cigars and tobacco accessories. Hunt for antiques or collector’s items should begin in antiques shop Dorotheum near Albertine. 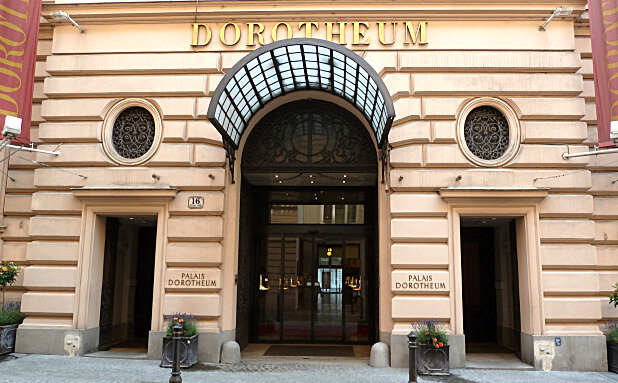 Three floors are always filled with most varied items and prices are acceptable considering that Dorotheum is among the most famous antiquarians and auctioneers in the world. For collectors of watches we recommend shop with new and second-hand watches Chronothek and Time Lounge. Besides having a really wide range, often you could bump into, say, the Breitling Navitimer from the 1960s for two and a half thousand euros. Fine price for valuable collector’s watch! Also, when you are already in the capital of classical music, stop by a CD shop Haus der Musik near Coburg. If you are just beginning your evening, then you need a cocktail. Anyway, be sure to have a drink at Loos American Bar, a small restaurant in Kurtnerdurchgang, around the corner from St. Stephen. This unusual bar is designed by renowned architect Adolf Loos in 1908. Small dark place, decorated in marble and wood, but equally impressive is the bar with five different versions of Manhattan cocktails. Clientele consists mostly of people from the media, young artists and other famous Viennese people, and the bar is an excellent base for going out because it is open to 4am. On weekends till 6am. Loos American Bar, however, does not serve food. Just two blocks from the Bar, down the Kumtner Strasse is another popular bar, Reiss. There you can drink reasonably priced fine champagnes by the glass, and one of the special features is a constant supply of oysters, which during the holidays are offered on the stand in front of the bar. True Viennese tradition. However a younger clientele are more likely to come to the Sky Bar within Steffi. This is definitely a place where you want to be seen, a kind of mini spice for ambitious, but others despise him just because, although it is exquisitely decorated and very cozy bar where you can drink everything from beer to cocktails. During summer especially popular is Urania. Although best known as stardom and cinema, Urania bar has excellent terrace, which overlooks the Danube Canal, perfect for sipping drinks. Also, depending on where you go out later in the evening, you can take into account the famous La Divina, art bar in the Albertina. Bar is arranged in opera style, with a partitions that reminiscent of opera. Although the food they offer are mainly fine trinkets, La Divina has a nice range of cocktails and wines by the glass. Somewhat more expensive than average, so your glass of fine wine can cost more than 10 euros Moreover, about ten at night it is often heard an occasional opera aria accompanied by piano. Usually from some opera wannabe singer who demonstrates knowledge of opera and operettas. Unfortunately, in past years La Divina lost its reputation that once had. Vienna Musikverein, paradise for classical music lovers. A night out in Vienna is special story and we don’t need to waste words on an incredible offer of classical music in the world’s capital of the genre. 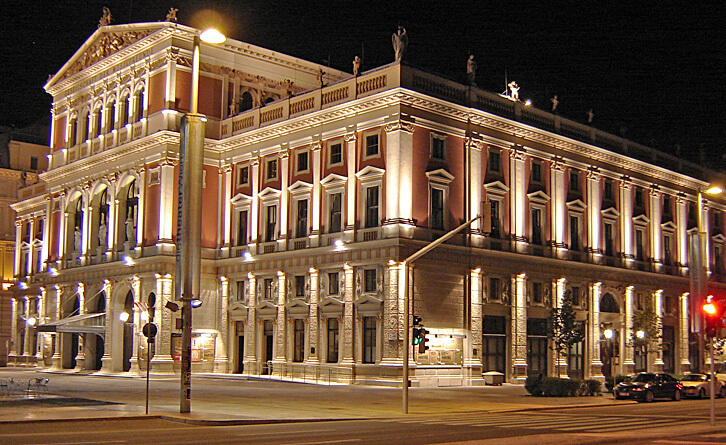 Staatsoper, Schonbrunn Theater, Volksoper, Koncerthaus, Musikverein and other classical music institutions belong to the best in the world in their respective categories. If you choose “classic” night out, get ready for different prices. Depending on the venue, program and location, a ticket to all these places listed can cost about 0, 50, 100, and sometimes even up to 500 euros. However, you can find a good spot for less than 50 euros. In addition, the Wiener Konzerthaus, from classical music sometimes turns towards world music and classical jazz, so it is one of the favorite destinations of local experts. If jazz is your music of choice you won’t be disappointed because Vienna is home to few excellent world known jazz clubs. Jazzland, Birdland and Porgy & Bess primarily. The first is a very pleasant club, with brick arches and basement atmosphere. It is located at the Church of St. Ruprecht, near the canal, and is the most famous Viennese jazz club. While listening to the groove of American and European jazz you can smoke, drink beer for 4 euros and even eat Wiener schnitzel, goulash, bean or pancakes at decent prices. Jazzland is iconic gathering for jazz fans and now looks like a dump, but the dump with charm. Birdland is the antithesis of Jazzland. A club in the basement of the Hilton Hotel, which was several years ago handed to the recently deceased jazz great Joe Zawinul. For 10-20 euros per ticket you can enjoy the best acoustics in town. Acts cold, but the program often goes beyond jazz. To reggae, roots, and occasionally rock, which is why it is very popular. Porgy & Bess opened in 1993 and immediately became the gathering place for music connoisseurs. Features daily live performances, and because that it is recommended by all tourist guides it is often crowded with foreigners. If you are still on your feet before dawn, it is time for the old Viennese ritual. Morning visit to Wurstelstand! Hot sausages from a stand, where you will rarely hear a German, are cure for late night munchies. For three euros each you can feel, before bedtime, the happiness in Vienna, and as a true cosmopolitans Viennese are usually the first in line.